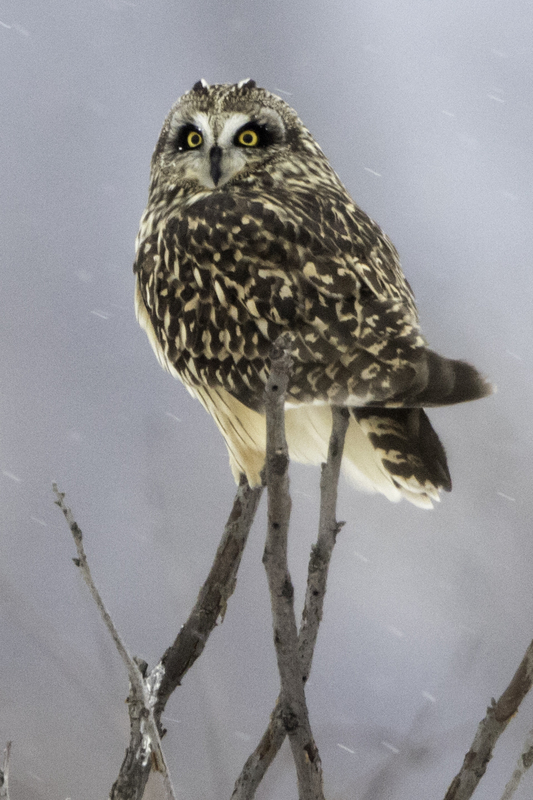 In December, 2018 the WGNSS Nature Photography Group met at Riverlands Migratory Bird Sanctuary with hopes of making some memorable images of our giant white residents that spend their winters here. 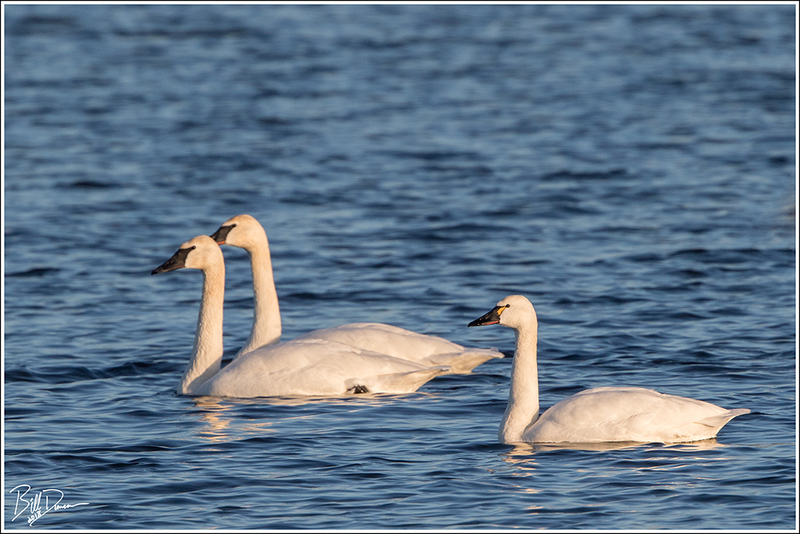 Trumpeter and Tundra Swans will spend their evenings at roost in the bodies of water at RMBS and will then typically leave to forage in surrounding agricultural fields, picking up the wasted grain from harvest. A good strategy for placing yourself in the most appropriate position for making photographs of these birds is to pay attention to the direction of the sun. If the birds are found in Ellis Bay during the golden hours of morning light (during winter in St. Louis, this can be up to three hours after sunrise), then getting close to the shore with the sun behind you can produce some satisfactory results. Try getting closer to the ground and shooting the birds from a low angle. This will give your photographs an eye-to-eye perspective that is a much more intimate view into the birds’ world. 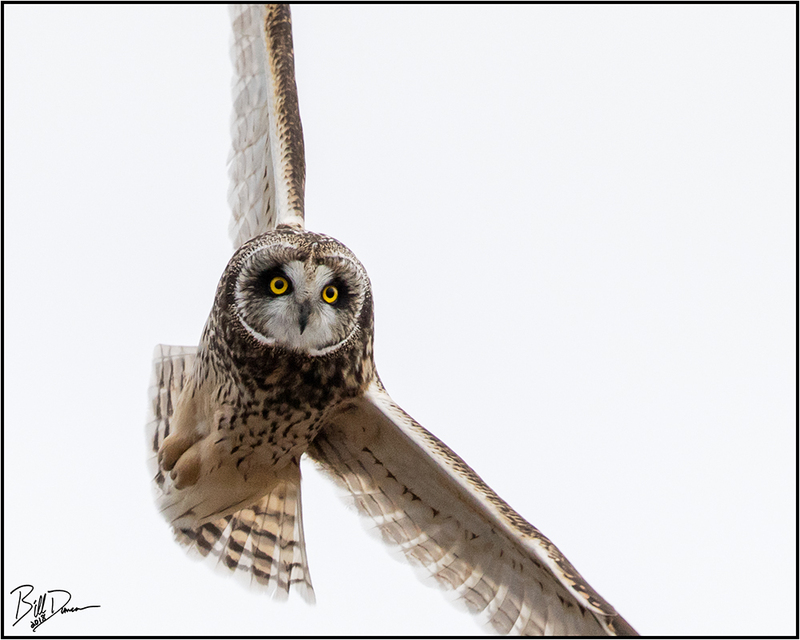 Shooting at low angles will also tend to provide a more pleasing, out-of-focus background to your subject that will cause the bird to appear to be larger than life. We photographed both species of swan as they lounged in Ellis Bay for the first couple hours of the morning. 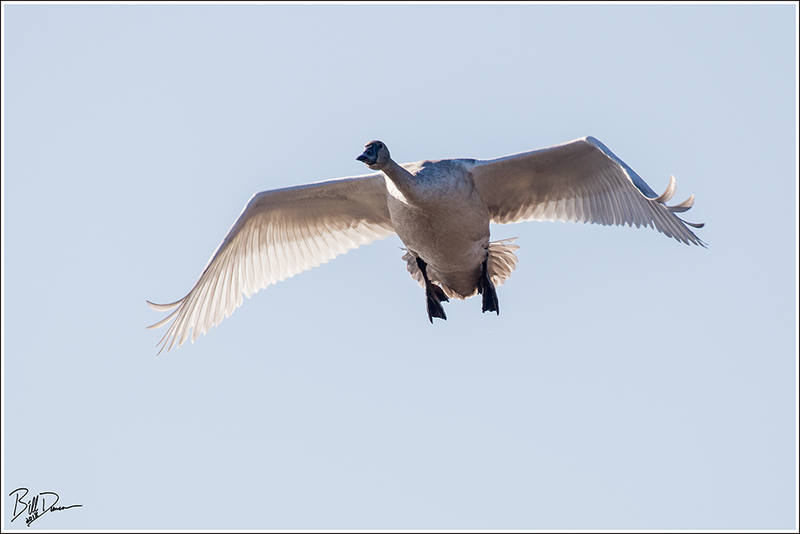 Can you pick which is the Tundra and which is the Trumpeter Swan in these first two images? We then moved on to another place within the refuge that the Swans can often be found on winter mornings. At Heron Pond, these birds are typically too far away from the observation areas to get closeup photographs while roosting. However, the patient photographer on the ready can often be rewarded by standing and waiting around. During this morning, the Swans were a tad tardy in lifting out of Heron Pond, so our group was in the right place at the right time. Getting proper positioning with the angle of the sun is a bit more difficult here in the morning but is still critical. We placed ourselves in the best places available on this busy morning and took advantage of the swans as they left the pond, which often flew right over our heads. Photographing these mostly bright-white birds on a bright sunny day is not necessarily simple. While on the ground or the waters of the bay, it is common to have the camera’s light meter expose for the darker and more prominent background. This will often lead to the white feathers of the birds being overexposed. Remember to check the histogram of your camera and use the “blinkies” while reviewing your images to ensure you are not clipping your whites. If this is the case, make the proper adjustments to your exposure. Saving your whites may result in your blacks and shadows being bunched up at the other end of the histogram. Since the big white bird is your subject of concern, this should be nothing to worry about. Changing directions and the angle of sunlight are challenging for proper exposure. 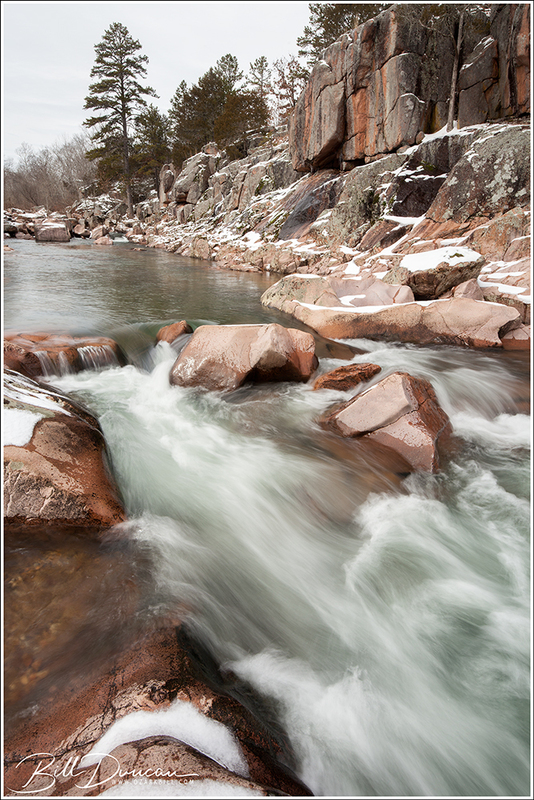 Get as close as you can in the field – much can be recovered in post-processing. Shooting these large birds in flight presents a different set of challenges. Although these birds move relatively slower than most other birds during flight, the photographer will still want a relatively fast shutter speed. This is particularly true the closer you are to your subject. I recommend no slower than 1/1000 of a second. Start at this setting and increase shutter speed if you notice blurring or softness to your image due to subject movement. 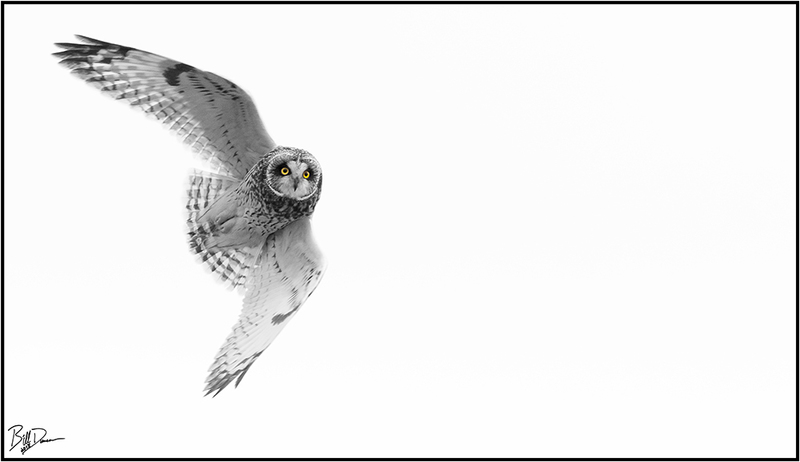 As these birds get closer during flight, they will naturally fill more of your frame, thereby increasing the number of pixels seeing the bright white values. This can often lead to a case of the camera’s meter overcompensating, thereby causing an underexposed image. In this case, the birds may come out looking grey instead of white and the black colorations of their feet and faces will be much too dark and lack sufficient details. 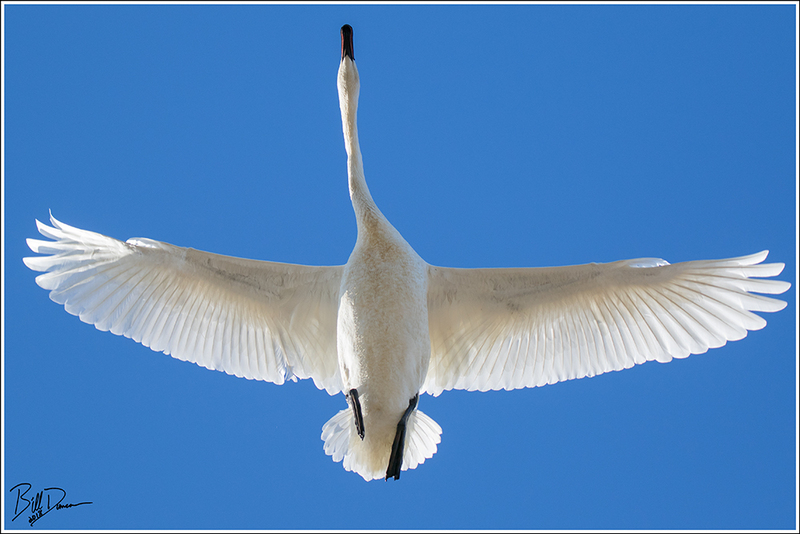 In the above image, a swan can be seen with a significantly crooked neck. I typically see one or two birds with this condition every season. I do not know how it affects the birds or what their ultimate fates may be. In the case of constant sunny skies, fully manual exposure settings are most called for. 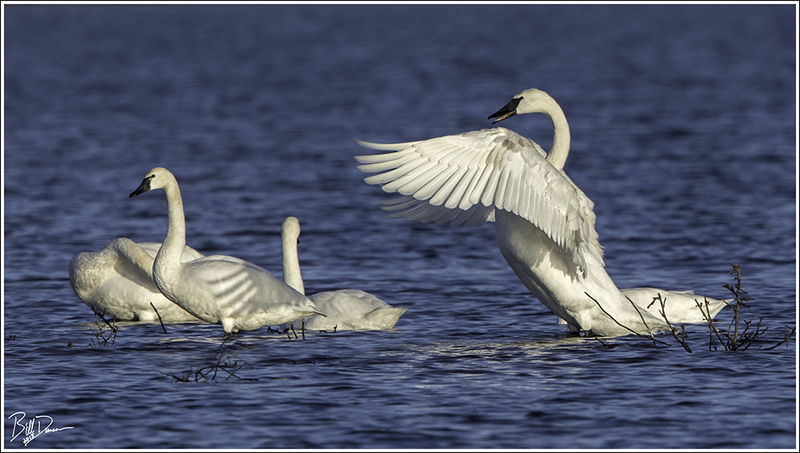 Here I will present a good starting point for setting the exposure for capturing swans in flight. Shutter speed – As I mentioned earlier, start with a minimum of 1/1000 sec. This may likely be too slow to capture a sharp image, depending on what position the bird’s wings were captured. Often, shutter speeds of up to 1/2500 sec or higher might be necessary. 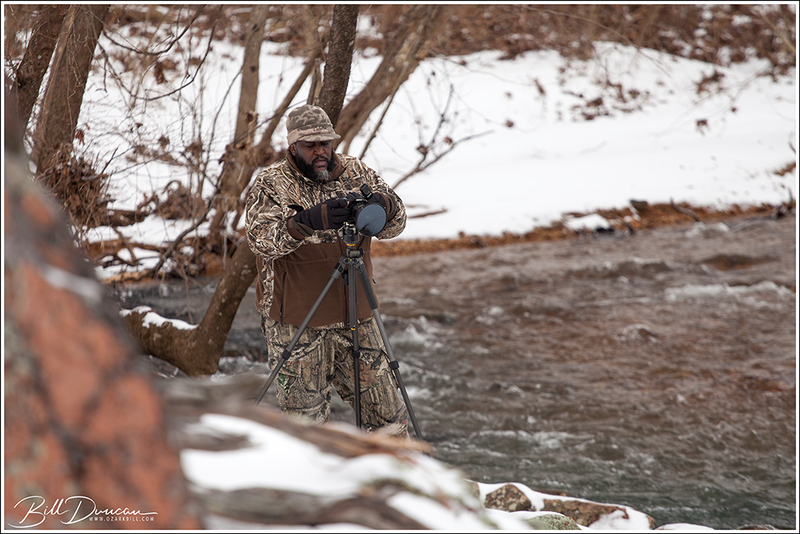 Aperture – This will depend on how close you are to the swan. 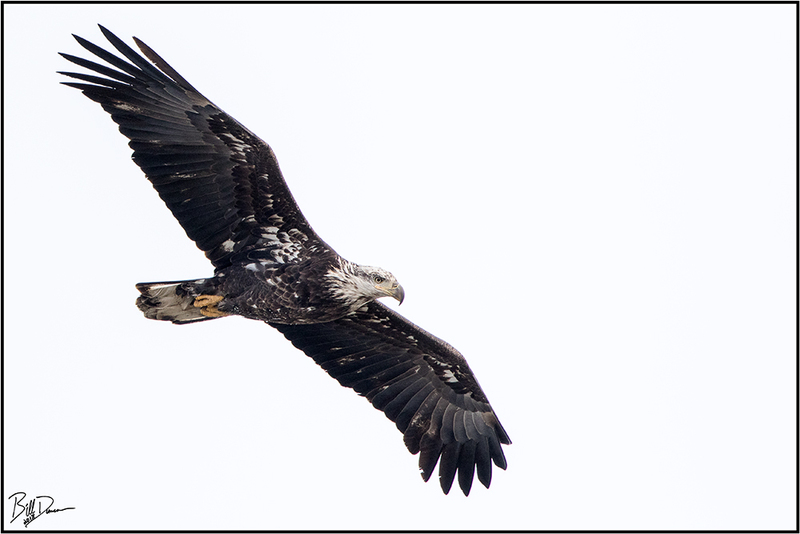 Remember, these are large birds and when shooting at a profile there is a lot of distance from wingtip to wingtip. 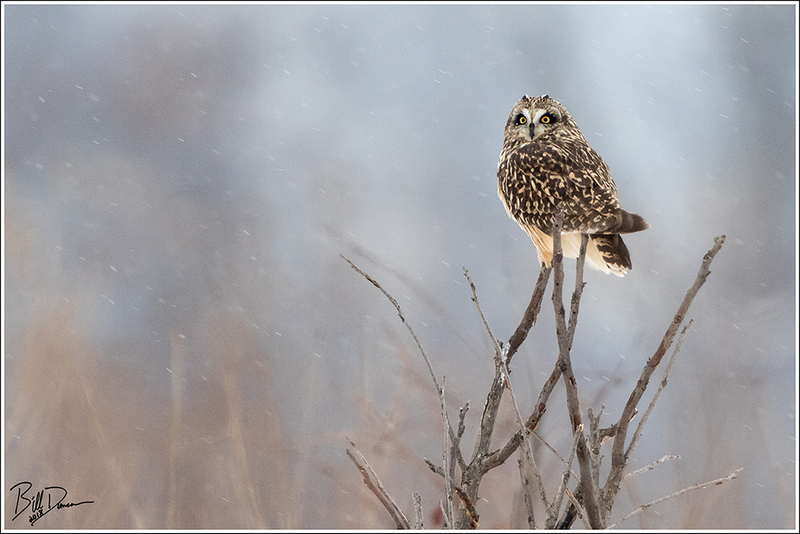 If the bird is significantly close, or if you have multiple birds in the frame, you will be unlikely to capture the entire subject(s) in critical focus if shooting wide open. I recommend no wider than ƒ/5.6 – you may need to stop down significantly smaller. However, always remember that getting the animal’s eye in sharp focus is critical. Many images will work fine if other parts of the bird are not in critical focus. ISO – Remembering that photography is a compromise, shooting at a fast shutter speed and smaller apertures might require that a higher ISO value be needed to obtain the proper exposure. Several latest digital camera models have a useful “auto ISO” setting. I know, technically this is not fully manual, but ISO does not necessarily have the input it once did. Know the highest ISO setting for your camera that you are comfortable with and don’t be afraid to shoot there. This will vary by camera model and by the photographer’s taste. Here is a photo of “crooked neck” as it flew directly over my head. 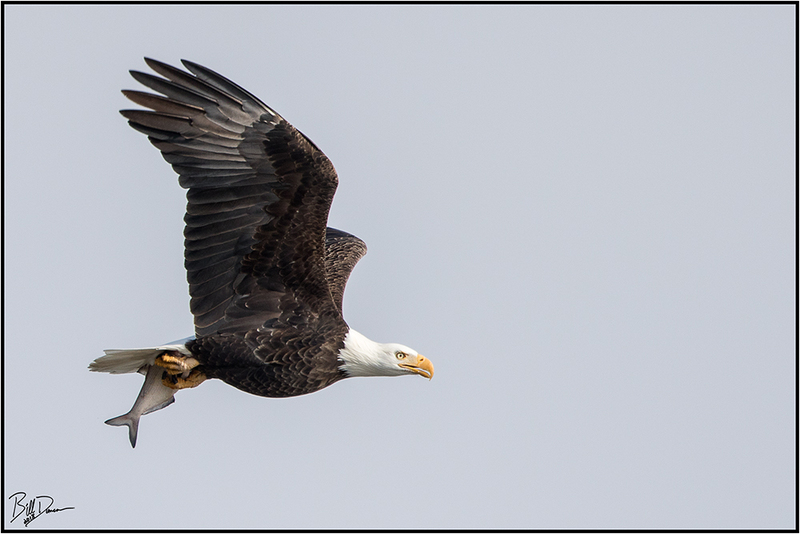 In cases like this a telephoto-zoom lens is really beneficial for capturing birds in flight. The majority of this material was originally published in Nature Notes (The Journal of the Webster Groves Nature Study Society) February 2019, Vol. 91, No. 2. Many thanks to Casey Galvin who turned me on to the closest places to find and photograph a plant species that had been a target of mine for some time now. 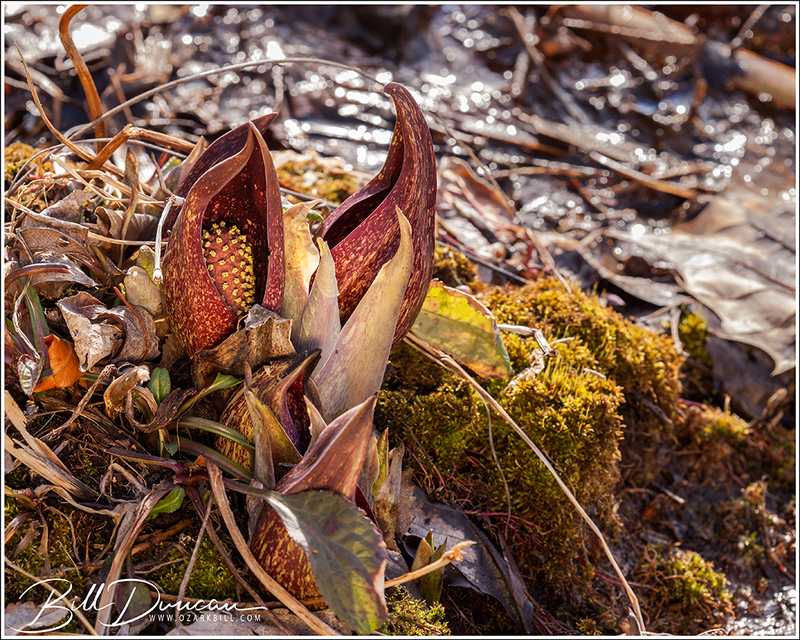 Eastern skunk cabbage (Symplocarpus foetidus) is a fascinating plant that is typically found in eastern North America and the upper midwest. The nearest populations to St. Louis that I am aware of are near Peoria, Illinois, which is about a three hour drive from my front door. These are one of several early blooming plants that start the spring botanical season. 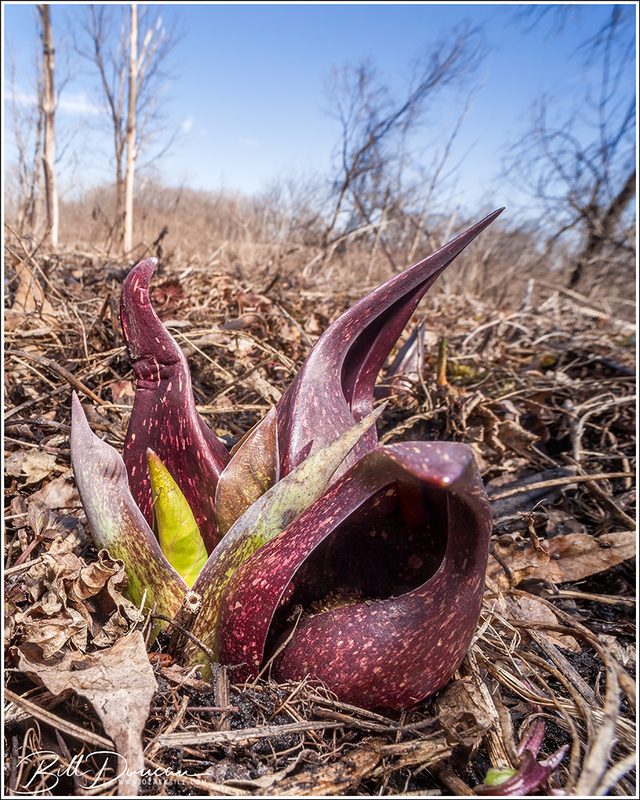 These members of the Araceae family, known as the aroids, bloom from February through April. 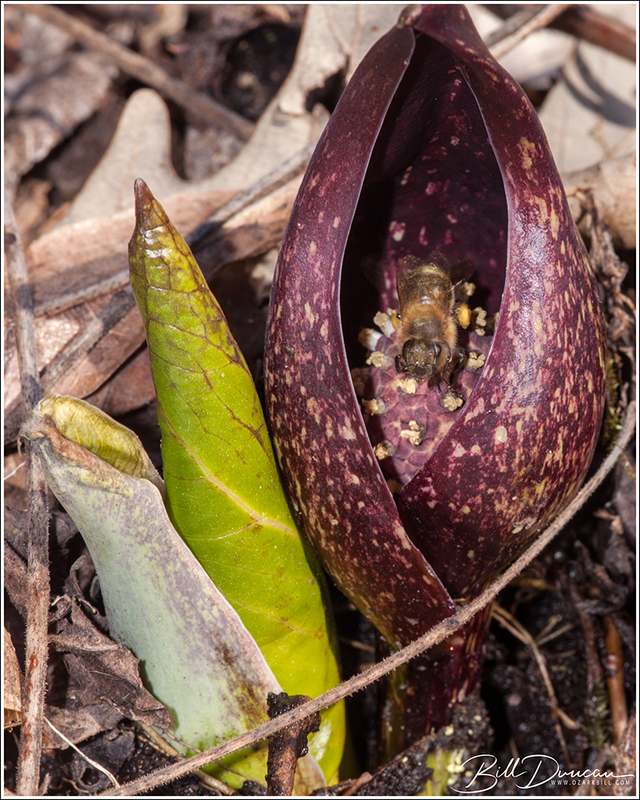 Like several plants in this family, this species produces odors reminiscent of rotting meet in order to attract pollinators that are predominantly dipterans (flies), hymenopterans (bees) and other, more terrestrial arthropods. I did not find the odor too overpowering and I also thought I picked up a slightly sweet, syrupy smell. Another remarkable aspect to this species pollination biology is that the spadex and surrounding tissues are thermogenic – meaning they produce their own heat. This thermogenesis, produced via enzymatic reactions not too dissimilar to the reactions that occur in mammals, may serve to assist the inflorescence and leaves of the plant to break through frozen grounds. It also likely serves as to further the ploy that the plant is a rotting carcass, hopefully attracting flies and other insects interested in such things. Other than a few very small flies and a couple of small native bees, the only pollinator I found during my visit was the honey bee. These were quite abundant. 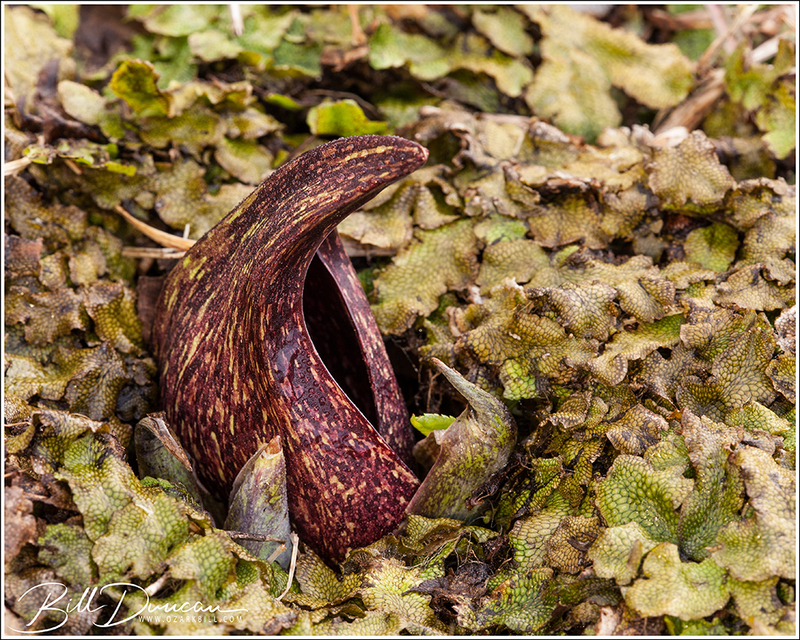 To show the moisture associated with the seep habitat I was in, here is a skunk cabbage spathe surrounded by snakeskin liverwort (Conocephalum salebrosum). An excellent post by Miguel Acosta using photos he captured at my backyard feeders. A big thanks to the Duncan’s for inviting me to their home, to photography winter songbirds at their bird feeder. A cold winter day is perfect for curling up by your living room or you can stock your bird feeder, get your camera, a turkey chair and check out the activity at the feeder. Here’s a quick rundown of the most common backyard birds, I saw while spending an afternoon at my friend’s bird feeder. House finch – love Nyjer seed, often mistakenly called thistle seed. Offer it in tube feeders or net bags, and watch these colorful birds swoop in for a visit. Miguel and I headed south early on Saturday morning. We arrived at Amidon Memorial Conservation Area in Madison County, MO long after first light, but early enough to get some good from what would turn out to be a very dynamic sky over most of the day. Castor River Shut-ins was our main target, as I knew we weren’t too far following some significant rainfall in the area and there was a fresh snowfall from the day before. Unfortunately, the total snow fall was nowhere near the forecast 3″-5″ that was supposed to blanket the Fredericktown/Farmington area. However, as a nature photographer knows, you take what you find. 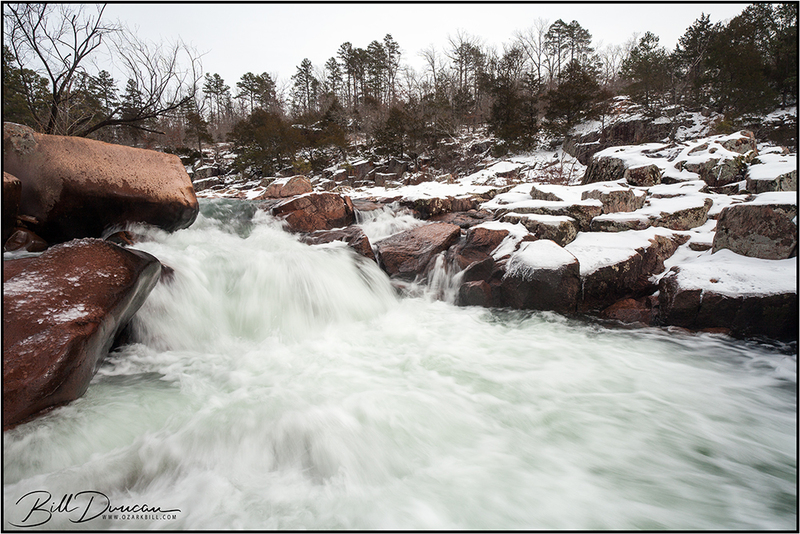 What turned out to be a very nice day of hiking and photography was nearly the complete opposite. On our way down to the river to make the above image, yours truly, normally as sure-footed as an Ozark billy goat, got one leg caught between two narrowly separated boulders while slipping with his other foot. As I went down, nearly landing on my face, I twisted my leg at just the right time and likely narrowly avoided snapping both my tibia and fibula in the caught leg. I also lost control of the tripod with the camera attached. Thankfully, most of the impact was to a small spot on the camera’s L-bracket, avoiding disaster again. Very-slight damage to the equipment and some bruising and scrapes to my leg – I will live with that when I think about the potential alternatives. For whatever reason, I find myself drawn to vertical compositions at this location. We had nice and light cloud clover which typically provides the perfect scenario for capturing water and can make it easier to include the sky in a composition. Here you can see Miguel hard at work nailing his composition. I think the light yesterday was perfect in helping me avoid a problem I often have at this location, getting the color balance perfect for capturing the real colors of the rocks that make up this geological feature. Of course, those colors don’t show up the same as they do in direct sunlight. After we had our fill at this location, still having the entire place to ourselves, we headed to Silvermines Recreation Area. Here we were primarily focused on the large defunct dam that is one of the famous features for which this location is known. We were faced with a more broken sky, but I noticed the thin cirrus/cirrostratus clouds were moving with extreme speed. 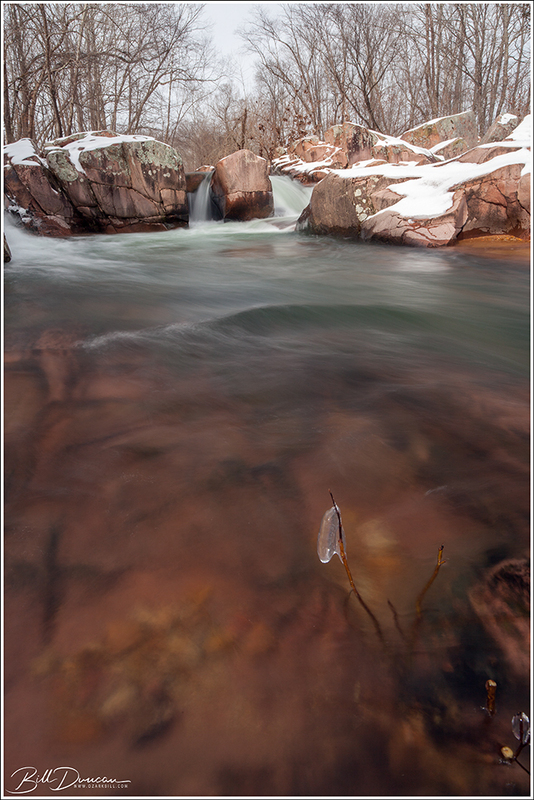 Always on the lookout for a reason to use my neutral density filters, I pulled out my heaviest one and made the image below with a 30 second exposure. Unfortunately, we weren’t in a good place and time to take advantage of a fantastic sunset. But, we made some nice images, memories and left a few calories behind on the trails. The WGNSS Natural History Photo Group had a fun field trip in January, when we headed north up the Mississippi to the riverside town of Clarksville. 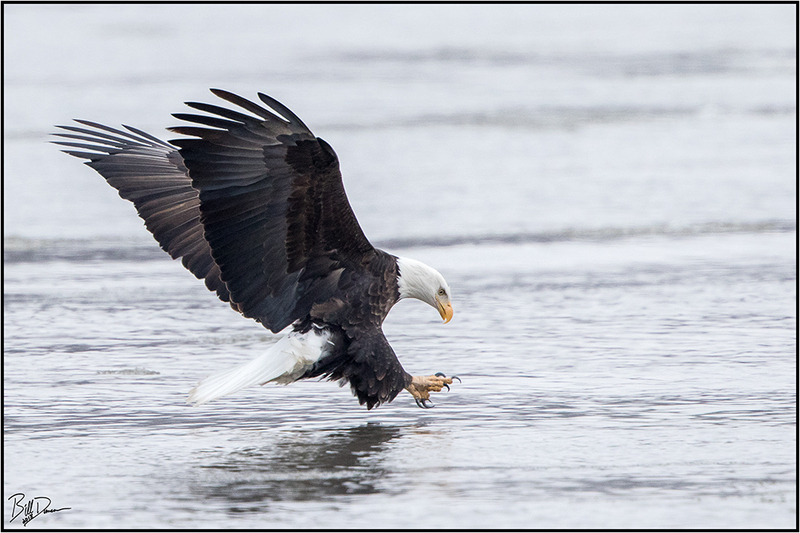 Here at lock and dam #24, we were fortunate to be alongside ~75 eagles of various ages that took turns in catching the stunned shad that is their primary winter food source along the great river. We arrived early in the morning and made a day of it, experiencing wide shifts in weather from grey and snowy to partly sunny skies. 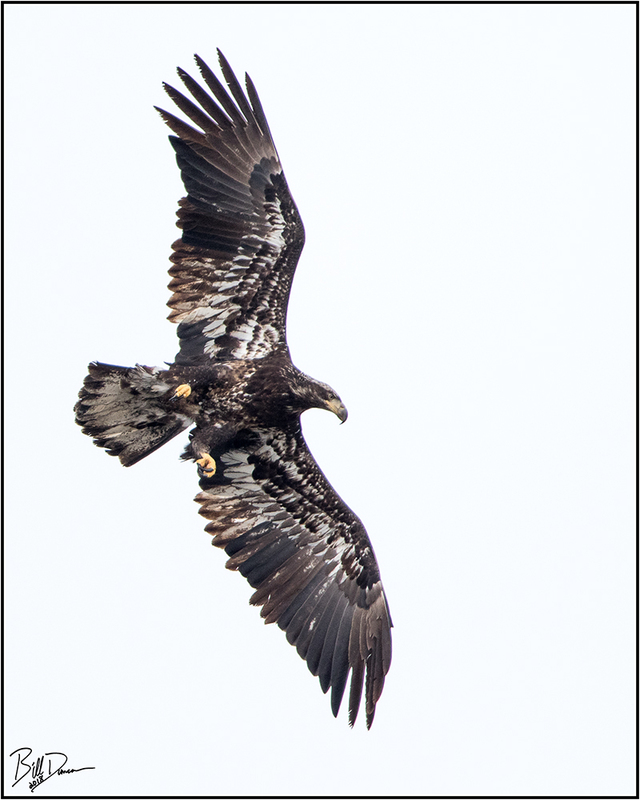 I’m not an expert in aging these eagles, but I believe the bird picture above is a subadult II, which means it is 2.5 – 3 years old. 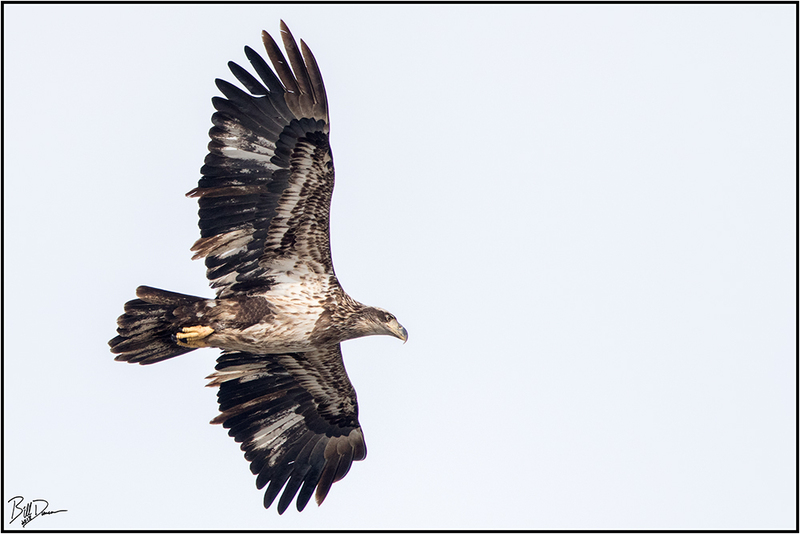 In this photo you can see several retained juvenile secondaries on each wing. The long and pointed secondaries make me think this bird is probably a year younger than the bird in the previous photo. I would guess this bird is 1.5 – 2 years old. The temperatures on this day were cold, but not too severe. We arrived with the car’s thermometer reading 16°F. There was a light wind most of the day, but not nearly as bad as there could have been. With patience, there were some opportunities to capture a bird’s profile as it came to pick up a poor stunned fish. 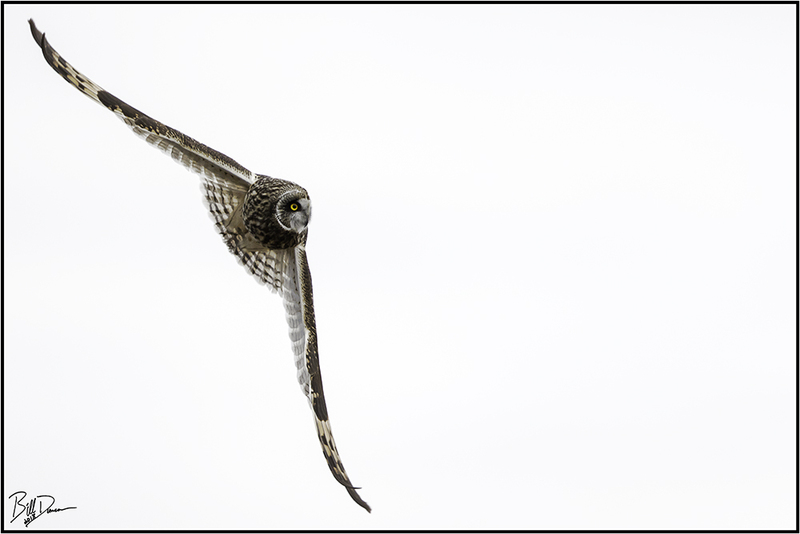 The majority of prey captured in this way is small enough to be eaten immediately on the wing in a single “bite”. Sometimes, however, the bird is forced to retreat with its groceries and eat in seclusion. The bird pictured above is much closer to looking like an adult bird, showing the mostly white head and tail. I estimate this bird as being 3.5 to 4 years old. I noticed this in previous years, that it seems like the juveniles spend more time fishing than the adults. 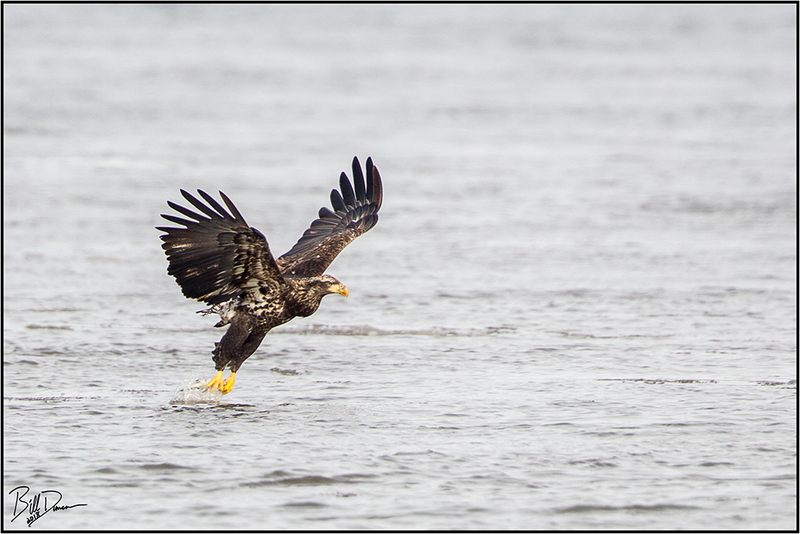 In the photo above, you can see a juvenile with an already full crop is pulling another fish from the river. This is just a few I have processed so far. We have something in the works that may produce something much more in terms of eagle photography. Until next time. I don’t usually like to discuss gear on this blog, but once in a while I think there are some things new or interesting enough to talk about, particularly when I think they may be critical for producing the best possible results. I have been wanting to test and compare the 2 latest Canon teleconverters (Canon Extender EF 1.4X III, Canon Extender EF 2X III) in a head to head test for sometime and this past weekend found me with an opportunity to do so. To be clear, this was not the optimal situation to make this test. The light was poor and the subject was probably too far away and not covering enough pixels to make a relevant comparison. But, I thought I’d give it a try. These tests were setup as equally, but not scientifically, as possible. 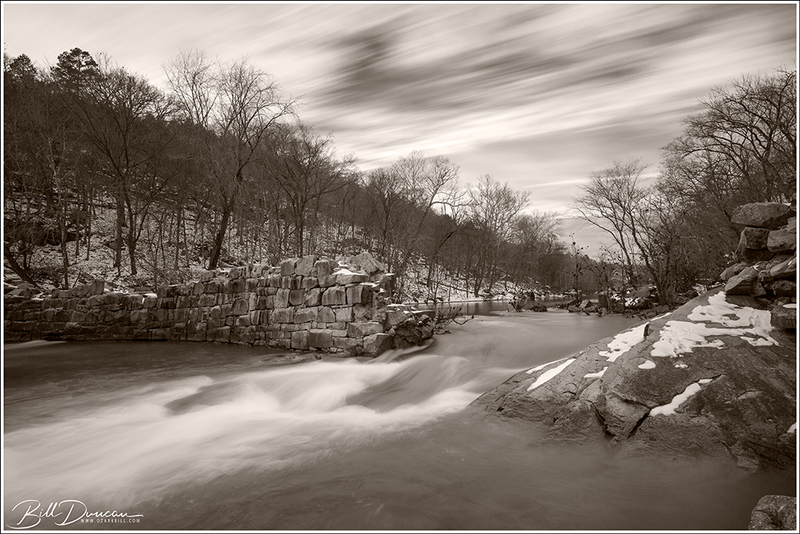 For these first two images, I processed as normal and tried my best to be equal in all capture and processing steps. I cropped to make the bird approximately the same size in both images, so obviously, the photo made with the 1.4X tc was enlarged more than the one made with the 2X tc. I then resized each to make them 1000 pixels on the horizontal. The purpose here was to see if there is a discernible difference in sharpness and image quality between the two. The 2X tc often gets poor reviews, but just as often gets raves by those who claim to know what they’re doing. Many claim that the better results are made by using a 1.4X tc, or native lens and cropping in post to obtain better results than those obtained by using the 2X tc for an optical zoom. Open the two images above in separate tabs to see a roughly equal comparison. In my opinion, I was pretty pleased with the results of the 2X tc in sub-optimal conditions. Both photos are fine for sharing on the web, although the IQ would limit print size. 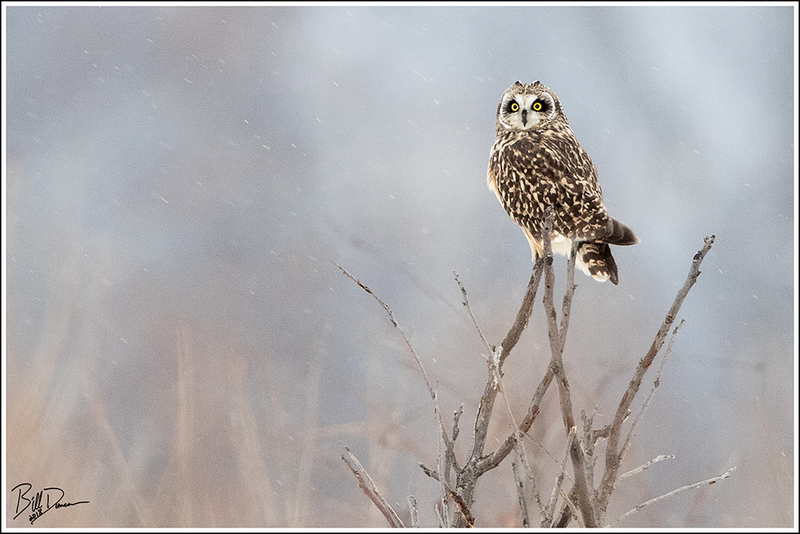 Like I said, the conditions were poor and the bird at a great distance. However, I think I would give a slight edge to the photo made with the 2X converter. This edge might just as well be due to differences in how I processed or with changing conditions within the few minutes between captured images. Let’s look next at the “100% crops” of both photos. This simply means that these photos were both cropped at the same dimensions (4″ x 6″) and not resized. These examples were NOT sharpened. Again, with this comparison, I find the two very close. Either one would work well enough, but if your goal was to maximize print/display size, I would probably go with the 2X tc. I guess this has surprised me a bit. I was expecting that, under these sub-optimal conditions, the 2x tc would fall behind the supposedly sharper combination of the 500mm + 1.4X tc. What do you think? Did I make any major blunders in my comparison or analysis? Please let me know. I do hope to make this comparison again under perfect light and optimally placed subject sometime in the future. Thanks for stopping by and reading this far! 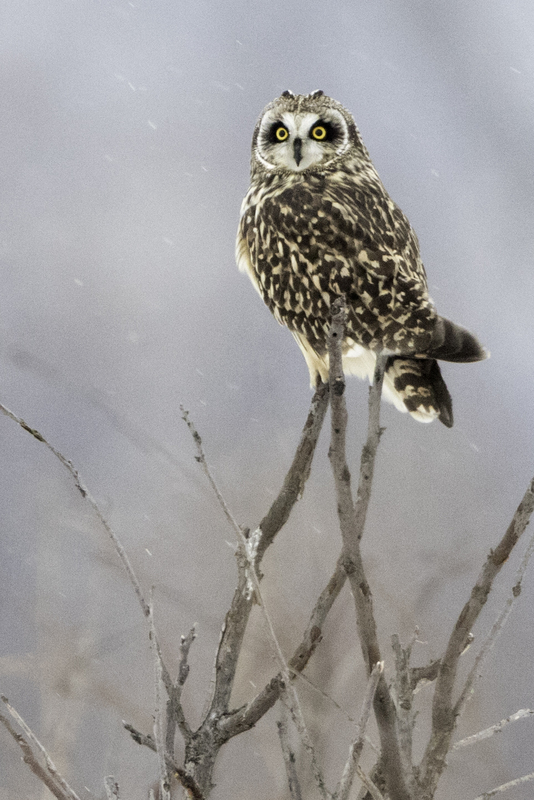 Miguel and I have been trying to get some better in-flight shots of the Short-eared Owls that use the wet prairies at BK Leach CA for their winter homes. Tonight, preparations and fortune came together and we wound up with a few that we can be satisfied with. The lighting wasn’t great, as the nice sunlight was blocked by heavier and heavier clouds as soon as the action began, but sometimes you take what you can get.